The perfect couples’ or group getaway. To book either guest house, email Liz directly for best rates at sibley1@me.com or for convenience, book through airbnb or vrbo. The Historic Bottle House is located in downtown Alpine, within walking distance of restaurants, shopping, libraries, parks. The spacious 1,200 square feet, 3 bedroom/one bath home is "all yours" - with two private front entrances and a back door leading out to the completely enclosed back yard with an outdoor dining table and six deck chairs for stargazing. The Bottle House is pet and child friendly, tastefully decorated and filled with art and plants. Historic Murphy Street is artsy and funky and folks are super friendly. Parking on the street by the front door is easy and super safe - as is all of Alpine. Please note that the Bottle House is located across the street from the Amtrak station and train track, so there is some train noise. I provide complimentary individually wrapped earplugs for sensitive sleepers, just like the Holland Hotel, 1 block away (the "nicest" hotel in town). The sunny front living room boasts a dining table for six, a 6 foot leather sofa and armchairs, and a day bed/sofa that folds into two twin beds. There are two larger private bedrooms, the first with an organic talalay latex and cotton queen sized bed, and the second with a full-sized bed, large closet, and private entrance. All beds have soft sheets, down pillows and light down comforters (nights are chilly in the high desert). There is central AC/heat as well as supplemental heaters. A terrific property: full complement of amenities, well-appointed, great location and terrific responsiveness by Liz when we had questions. Couldn't recommend her and The Bottle House more. 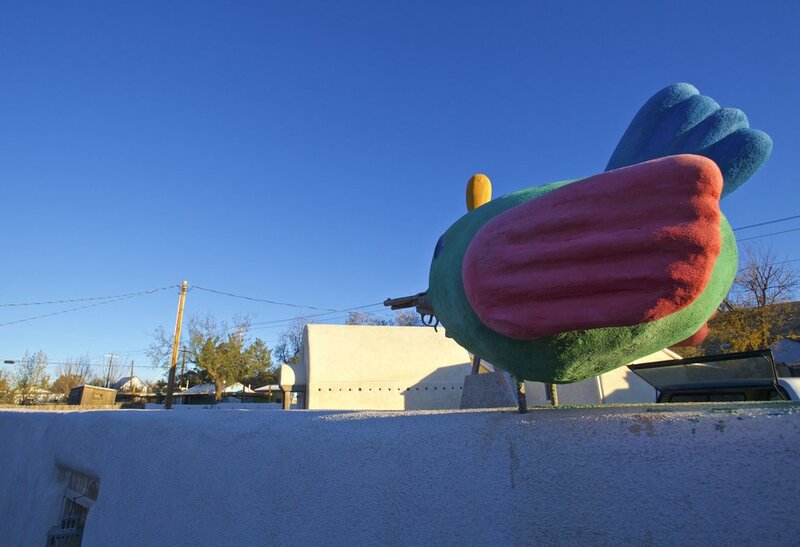 Plus Alpine is very charming, friendly and convenient to Marfa and Fort Davis. Two great big thumbs up. 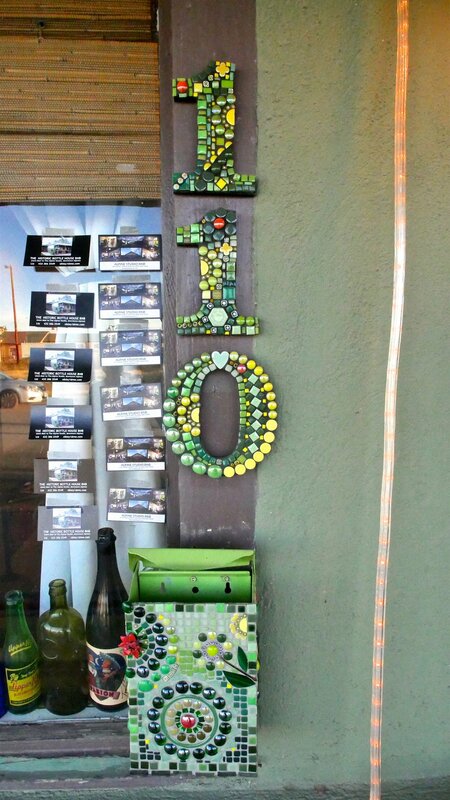 The Bottle House delivers on originality, art, charm, comfortableness and locally connects you with the creative artists in the warm heart of Alpine. I would recommend the Bottle House to all of my art, music loving and adventuresome friends who travel to absorb the local communities and the people. We booked the Bottle House to take in the Viva Big Bend music festival and it was the perfect location. Short walks to all of the venues. The owner is a natural resource to the area and she connects you to the community if you desire. Viva Bottle House! The Bottle House is exactly what I expected after reading the reviews. Liz is a gracious hostess who has thought of many details that helped make our stay an enjoyable one! There were four of us and there was space enough for us to each have our privacy. This was the first time we've rented a house for our vacation and we much preferred it to staying at a hotel. The Bottle House has a quirky mixture of furniture and art that gives it a lot of personality.